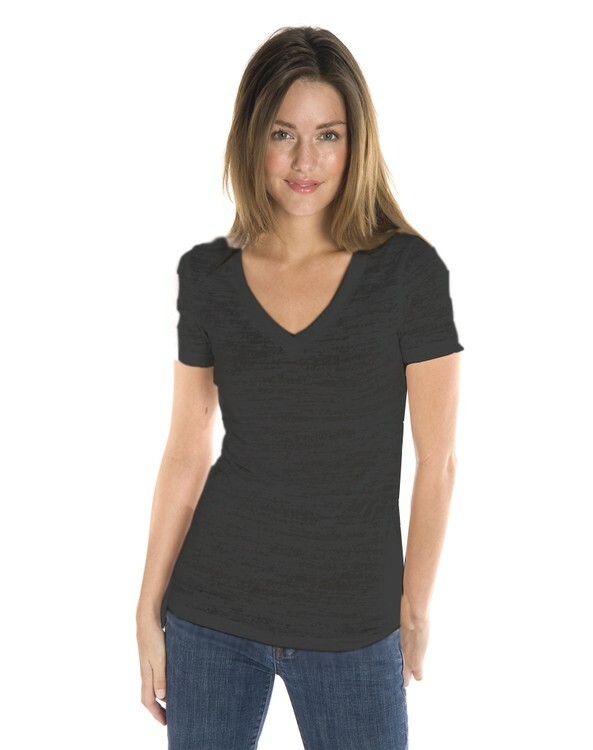 The Juniors Burnout V-Neck T-Shirt is the perfect addition to any wardrobe. It features a contemporary fit and is super-soft to the touch. Made from a 60%cotton/40%poly blend material with a taped neck and shoulders, and a unique vintage distressed look. Machine wash with like colors, tumble dry on low. 4.0 oz. Available in sizes S-2XL.